PET-CT for the initial staging of patients with stage 2 melanoma rarely showed evidence of distant metastatic disease, according to results presented in a poster session on October 11, 2018, at the American Society for Dermatologic Surgery annual meeting in Phoenix, AZ. In the single-site, retrospective review of all patients who underwent PET-CT at Duke during an 11-year period, PET-CT detected distant metastasis in only one of 89 patients (1.1%) with stage 2 melanoma. The researchers concluded that PET-CT is unlikely to provide new information that will affect the initial management of this patient population. 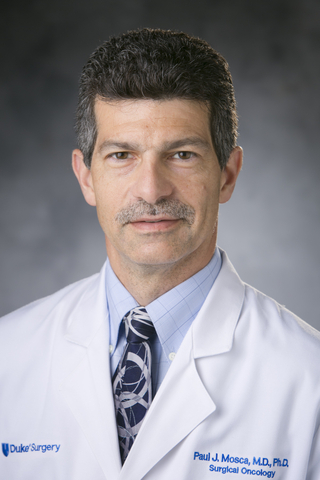 Although the study was limited by its small size, the findings are consistent with previous research, says study co-author Paul Mosca, MD, PhD, MBA, a surgical oncologist at Duke. “PET-CT is a valuable test, but it can result in overdiagnosis morbidity, additional patient anxiety and hardship, and unnecessary cost, so it’s important that we determine when it is most appropriate and beneficial to patients,” he says. Such studies are just the beginning of the conversation, however, he says. Mosca’s ultimate goal is to conduct a multi-center study to develop a nomogram—a tool that will enable clinicians to predict the probability that PET-CT will be positive for each patient. Researchers would then need to establish a consensus cutoff above which PET-CT should be performed. This will be valuable both for clinical decision-making and for alignment with payers. PET-CT may also be of greater value than studies suggest, Mosca notes, because of the dynamic nature of the field—in particular, the development of better tolerated and more effective therapeutics in recent years. Whereas previously, most patients were unlikely to receive much benefit from systemic treatment, now, not only are there therapies that patients are likely to receive, but as many as 35 to 50 percent or more may receive significant benefit, especially if treatment is initiated when tumor burden is low. PET-CT and other imaging tests could also become increasingly central to discourse around novel tests aimed at identifying higher-risk subgroups of patients who may warrant closer surveillance to facilitate earlier identification and treatment of patients with recurrent disease. Still in its infancy, the use of gene expression profiling and biomarkers for risk stratification in patients with melanoma is controversial, mainly because of the lack of prospective data. However, if these emerging technologies are shown to be reliable predictive tools that offer meaningful benefit to patients, Mosca says, knowing the probability of a positive PET-CT scan could be valuable in this context as well. In addition to Mosca, other authors on the study include lead author, Adam Brys, MD, and co-authors Visakha Suresh, Gabriel Li, Neel Nath, April Salama, MD, and Brandon Howard, MD.